I love curry dishes but I can't have too much of them. Maybe the spice is too much for me to handle or maybe it's a dish I like to reserve when the craving becomes strong then that's the time when I really enjoy the dish to a great extent. Like this one. 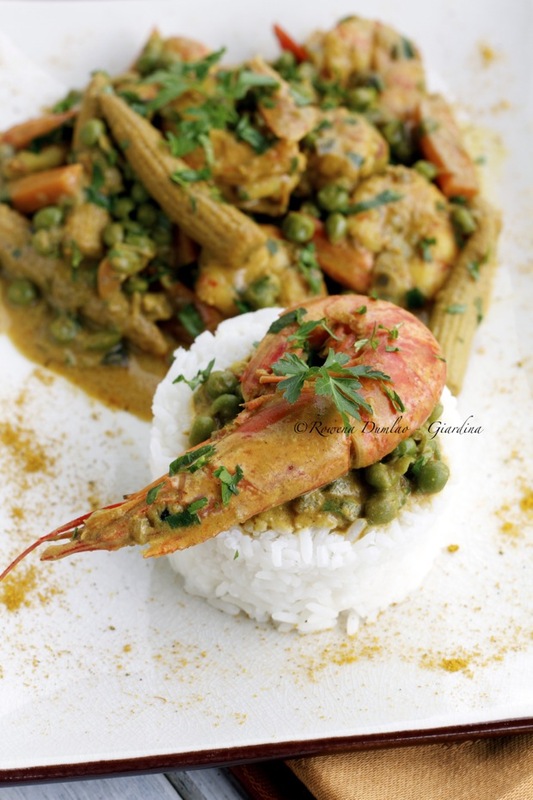 If only I can tell you how much I loved this Yellow Curry Shrimp. 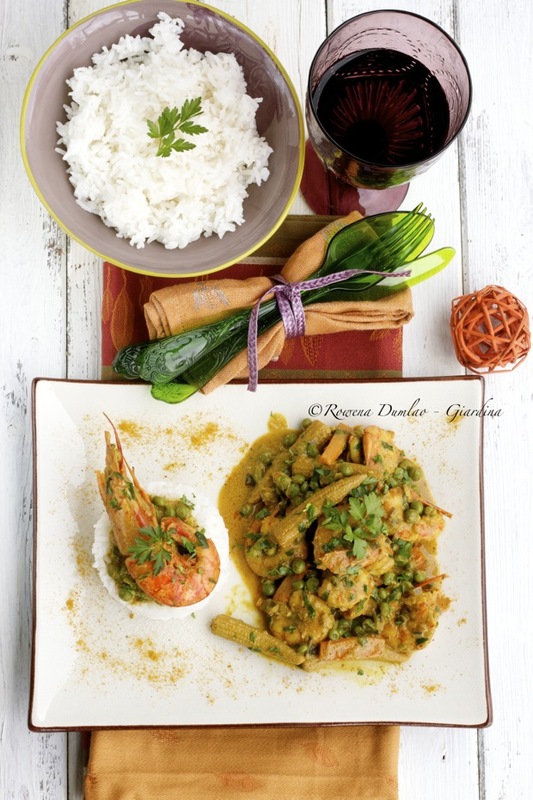 You can't enjoy this Asian dish without a mountain of hot steamed white rice, Basmati or Jasmine if you may. When I finish my Basmati or Jasmine rice that I reserve for Asian dishes, I resort to the Italian grains like Arborio, Nano Vialone or Carnaroli. So if you want to have an Asian fare for your next meal, grab some shrimp (frozen can work well too), yellow curry, coconut milk and the vegetables that you would like to put in the dish. Be flexible and experiment. For the recipe and the rest of the ingredients, you should jump over to She Knows and get my recipe there. Here's the link. If you want to check out what is keeping me busy there, click on this link to see the list of my recipes.